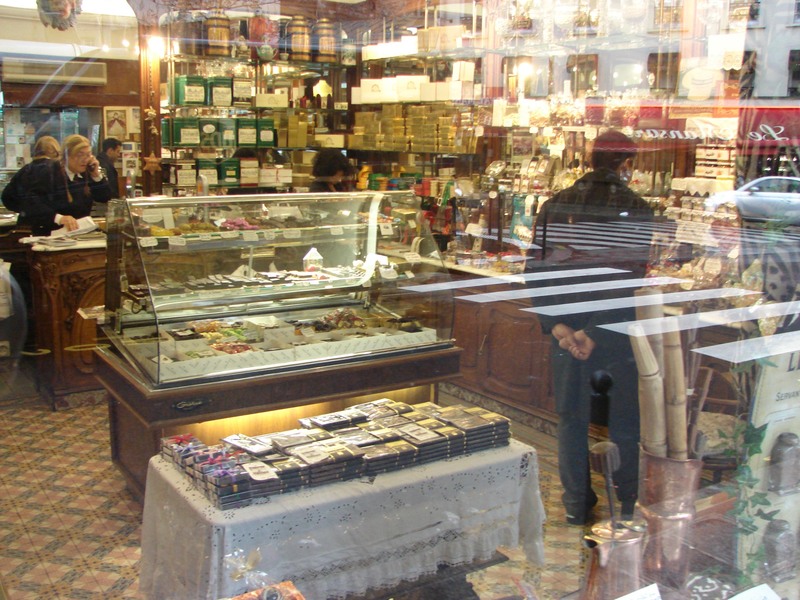 Home » Candy Shops » UPDATE: A L’Etoile d’Or to Reopen Nov. 3! 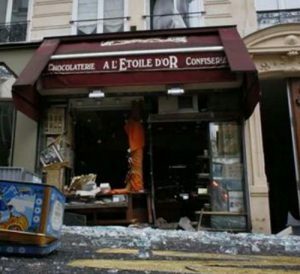 UPDATED, OCT. 26, 2015: As indicated below, it appeared as though A l’Etoile d’Or, the amazing Paris candy shop run by the delightfully quirky Denise Acabo, was to remain shuttered after a gas explosion destroyed the boutique in February 2014. But multiple reports out just today say that Acabo is stocking her shelves for a Nov. 3 reopening! This is a most welcome development for scores of candy fans throughout Paris–and indeed the entire world–who regularly visited Acabo’s renowned shop. If you’ve never been, definitely make a special trip to A l’Etoile d’Or at 30 Rue Fontaine in the 9th Arrondissement (Metro: Blanche/Pigalle). To all lovers of French candy: Today is a sad, sad day. 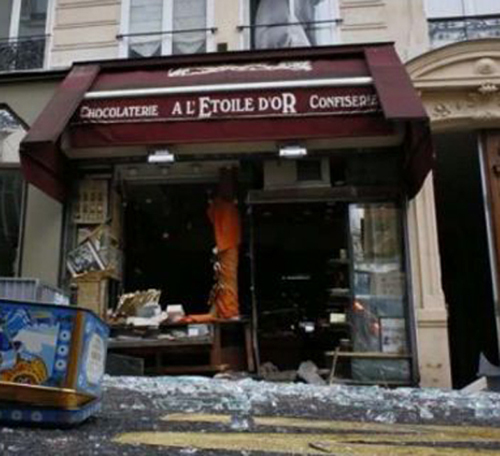 Well, to be more accurate, Feb. 15, 2014, was the actual disastrous day that changed the fate of A L’Etoile d’Or, the fantastic Pigalle-area candy shop run by the incomparable Denise Acabo. That afternoon, a crew working on gas lines in the basement of the candy shop at 30 Rue Pierre Fontaine accidentally triggered a massive explosion that gutted the boutique. Although Denise and all three workers who were on site miraculously survived the catastrophe, the shop was literally blown to pieces. Even the next-door pharmacy was badly damaged (and is still closed as well). It was hoped by everyone who had ever visited Acabo’s candy shop (including me, as I wrote about my love of A L’Etoile d’Or just last year) that she would re-open once repairs were completed. And there are legions of Acabo/A L’Etoile d’Or fans around the world, fueled by glowing reviews by such renowned food blogs and bloggers as David Lebovitz, Paris by Mouth and Chowhound. Today, I discovered that the shop is likely permanently closed. Interacting with Acabo in her marvelous shop was always a highlight of my visits to Paris. 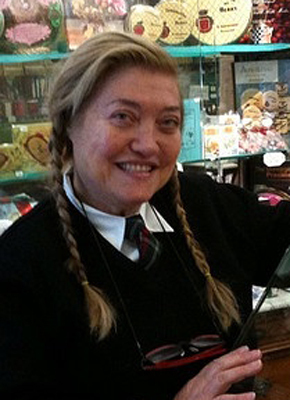 She was forever dressed as a Parisian schoolgirl in necktie, plaid skirt and pig tails, despite being at least 40 years out of primary school. 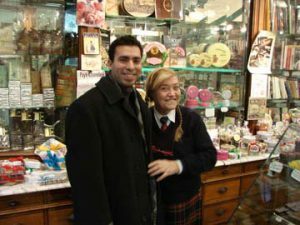 She also was as renowned for her incomparable knowledge of French candy as she was for peppering every visitor to her shop with a non-stop flow of enthusiastic commentary–all in French and with complete disregard for whether patrons speak the language. You could insistently tell her that you don’t understand French, and she would barely pause before plowing on en Francais. 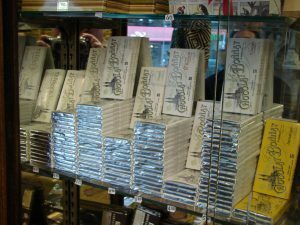 A L’Etoile d’Or was the only seller of Bernachon chocolate in France other than the Bernachon shop in Lyon where the chocolate is literally made from scratch, starting with raw cacao beans. Bernachon chocolate is considered among the very best produced anywhere in the world, and it was a considerable coup for Acabo to have secured the right to sell it. I’m not sure what I’m going to miss more–those fantastic chocolate bars, Acabo’s charming boutique that was stocked floor to ceiling with every sort of artisan candy imaginable or the delightfully quirky Acabo herself. Paris has lost a true treasure. 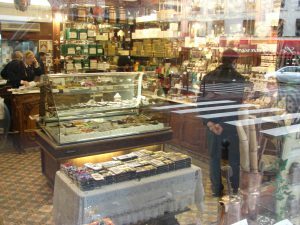 This entry was posted in Candy Shops, Famous Paris destinations, French culture, Right Bank, Shopping and tagged A L'Etoile d'Or, Denise Acabo, L, Pigalle by Bob Adams. Bookmark the permalink.